Who: This radically inclusive event aims to offer information and resources to any woman, man, trans, non-binary, and queer person who wishes to attend. All are welcome! Have you ever wondered exactly how your hormones work? What your uterus, eggs, ovaries and everything else is doing in that amazing body you have? New Moon Rising is an all-day event built to explore exactly that. We believe knowledge about our bodies and fertility belongs to WOMEN; not hidden within a textbook, the subject line of an anxious google search, or a 5 minute appointment with your M.D. take control and empower ourselves by attending a New Moon Rising event. Our events liberate women through health knowledge, mindfulness, community connections, and holistic health. 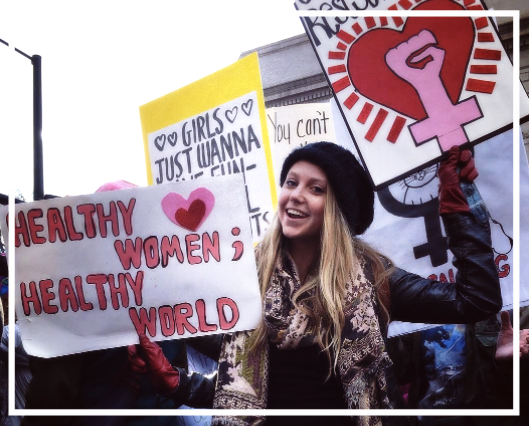 We're a group of women working together to increase awareness about sexuality, the female body, fertility, and women's health. We believe this knowledge should be accessible to all, and simple to understand. A day where you can celebrate and relish in the badass-ness and beauty of being a woman, and talk about all of the things we usually keep a little hush-hush or some of us may be embarrassed of; periods, vaginal health, or whatever you want! Join our movement! New Moon Rising is a non-profit, grassroots effort upheld by activated women in our community. We want your ideas, power, knowledge and strength. E-mail us to become part of our team.